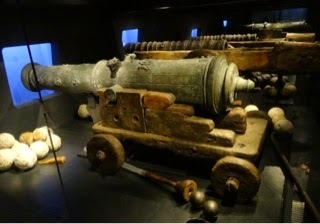 Yesterday we visited the Mary Rose Museum at the Naval Dockyard in Portsmouth. 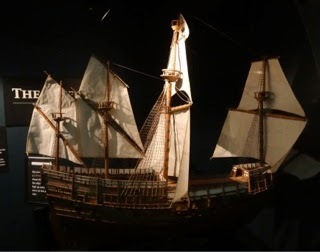 in the late afternoon of July 19th, 1545, The Mary Rose, one of the largest of Henry VIII's great ships, heeled to starboard and sank. As the King watched from his encampment on Southsea Common, about a mile away, he could hardly have imagined what this catastrophe would lead to some 500 years later. Built in Portsmouth, this 34 year old veteran sank whilst engaging a French invasion fleet larger than the Spanish Armarda some 43 years later. 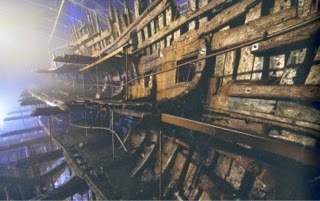 Just over thirty years ago Prince Charles, President of the Mary Rose Trust, watched as she rose from the seabed. 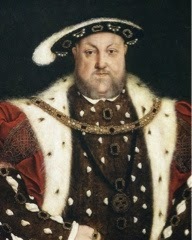 King Henry dined with her captain the day before she sank, and The Prince of Wales dived on her the day before she was raised. 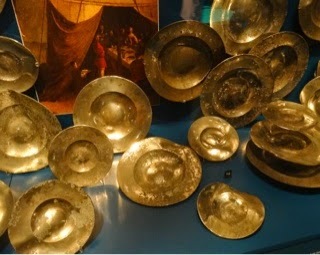 Thousands of objects were found on the wreck and brought to the surface over the past few years and can all be seen in this incredible maritime museum. 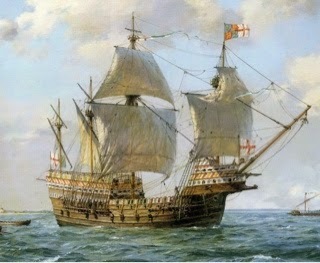 In 1978 the decision was made to raise the ship and the following year the Mary Rose Trust was formally inaugurated. 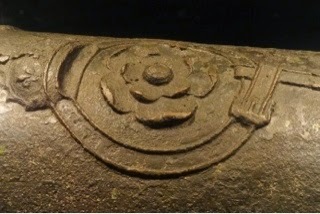 The ship had come to rest in a depth of 14 metres of water and tides moving across the hull deposited silt through the open gun ports and hatches rapidly sealing the contents of the ship. 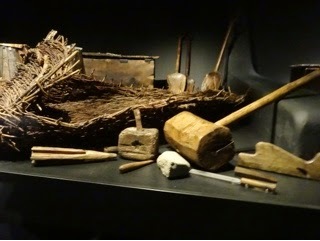 This silt had preserved over 19,000 objects. Each was carefully excavated, surveyed and lifted to the surface. 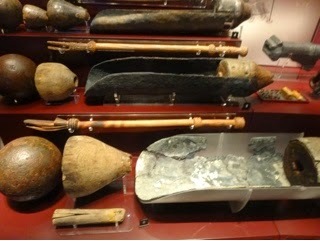 Among these objects were chests belonging to some of the 500 men who lost their lives. 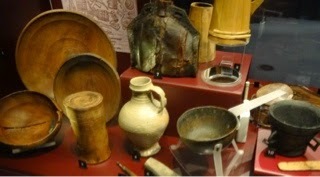 Many contained their possessions - all of which we saw displayed in the museum. I was amazed to see so many thousand items there. Here are a few (dim light - so my photographs are not that sharp). 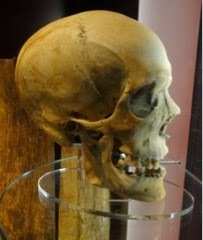 And here's the scull of one of the unfortunate sailors who drowned on that fateful July day in 1545. 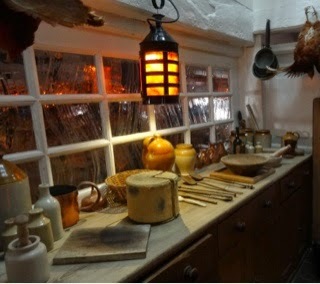 Many of the key crew members have been identified by where they were found - such as the cook, found in his galley - or by the objects found with them - the Master Gunner, three of the Archers, the Purser, Officer and Gentleman. The Surgeon is represented by his cabin chest and the objects within. Personal possessions give us some ideas to the nature of the man and it was great to see that these characters have been given their own cases where their objects are displayed and their lives explored. The most complete skeleton - an archer found in the hold - is displayed in full. 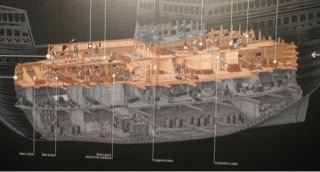 This illustration shows in detail how the Mary Rose would have looked when it was built. 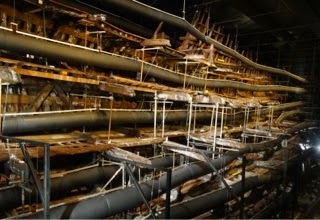 At the moment the ship's timbers are still being treated to remove the last of the salt so the large tubes you can see running the length of the vessel are completing this task. 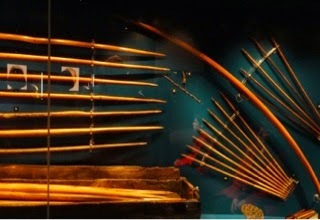 However within another two years we should be able to see the Mary Rose without these tubes. What a fascinating day we had. 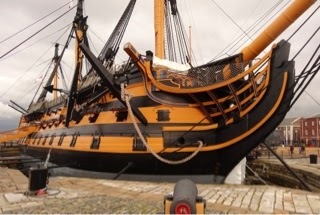 Still we couldn't leave the dockyard without another look around Lord Nelson's flagship - The Victory. We were there a couple of years ago, and my young friend warned me to be careful as she remembered that I bumped my head badly on one of the low beams inside the ship. 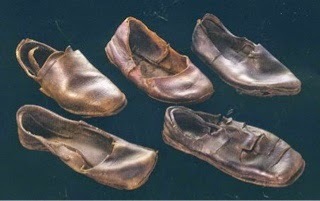 If you were a sailor in the days of Nelson and happened to be over five foot six you'd either have to scramble around the ship with a permanent stoop or risk constant head bumping. 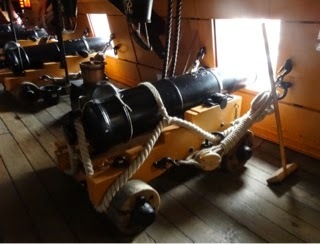 Here are some of the canons in the ship. 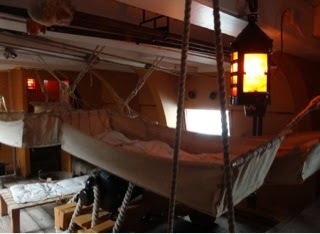 And hammocks in the sick bay. And just before we left The Victory - yes. I bumped my head on one of the low beams yet again! We decided it would be fun to have a tour on a submarine so stood in the queue for departure by water boat to the site of the submarine in Gosport. Luckily my young friend had the foresight to ask whether the boat would be returning to the dockyard. It wasn't, so we couldn't have got back to our car. We'll have to see that another time. (Our tickets last a year). 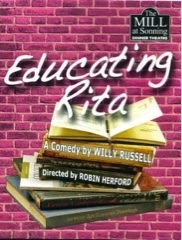 Last Tuesday we went to The Mill at Sonning to see a performance of Educating Rita. The Mill is being completely redecorated - at least the bar area is. All the workings of the Mill will soon be exposed there so it should be really good when completed. There were only two actors in Willy Russell's comedy, but they were incredible. Fast moving and word perfect I could only marvel at their performances. 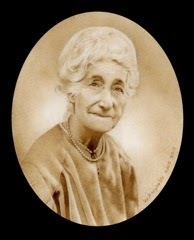 As far as work is concerned I completed a second miniature portrait commission for a client in Indonesia but also painted a sepia miniature of my grandmother. A lovely lady, I intend to exhibit it at the Royal Society of Miniature Painters show in the Mall Galleries in the autumn. I've already started on one of my grandad to accompany it.